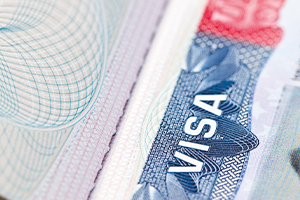 The US Citizenship and Immigration Services agency reports faster processing times for immigrant investors in the US under the employment-based, fifth preference immigrant visa (EB5). The agency reports an average 13.4 month processing time on individual investor petitions and a 5.7 month processing time on the petition to remove the two-year conditional basis of resident status. The agency reports a 6.1 month processing time on applications to designate new regional centers, amend the designation for existing regional centers, and exemplar petitions for investment opportunities at regional centers. The USCIS has devoted a number of resources to improving the EB5 process. The volume of EB5 petitions received, approved, and pending almost doubled from fiscal year 2011 and 2012, and the number denied almost tripled. The growth in 2013 was not quite as dramatic, but there was growth and the numbers reported for the first two quarters of FY 2014 show that this is likely to be a banner year. In August 2014, the USCIS added a document library to facilitate submission of digital copies of documents to supplement paper-based filings and this is expected to help reduce lengthy processing times. At the same time, the USCIS is working more closely with the Securities and Exchange Commission (SEC) and other agencies to improve immigrant investor confidence in the program and reduce fraud. The SEC posted an Investor Alert to recommend the due diligence investors should take when evaluating EB5 opportunities. Common industry practices are evolving in the EB5 sector to catch up with new government practices and enforcement patterns. The leaders who adopt best practices early on have the best opportunity for success in securing immigrant investor funding for their ventures and resident status for their immigrant investors. 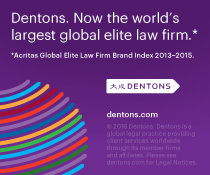 Dentons provides clients with a comprehensive and integrated suite of EB5-related legal services – from project finance, securities, immigration and employment to hotel, real estate, franchise, and much more.